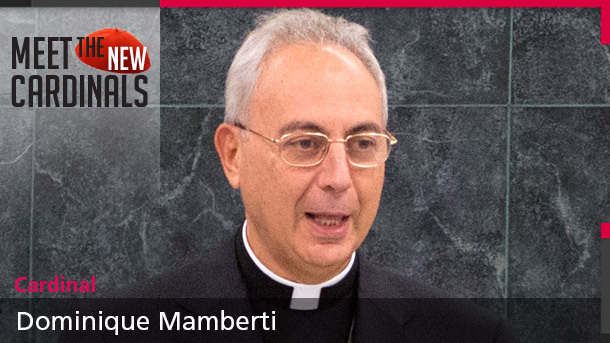 VATICAN CITY (CNS) -- Cardinal-designate Dominique Mamberti, the only official of the Roman Curia among the 20 new cardinals named by Pope Francis, said the honor binds him even more closely to the pope and the church of Rome. Pope Francis' announcement came just days before the cardinal-designate, the Vatican's foreign minister for the past eight years, was about to take up a new post as head of the Apostolic Signature, the Vatican's highest court. A 62-year-old French citizen born in Morocco, the cardinal-designate has spent almost 30 years in the Vatican's diplomatic service, working in Algeria, Chile, at the United Nations in New York and in Lebanon, as well as at the Vatican Secretariat of State. Now, like the other cardinals, he will be assigned a titular church in Rome, symbolically joining the diocese's clergy, he told Vatican Radio. 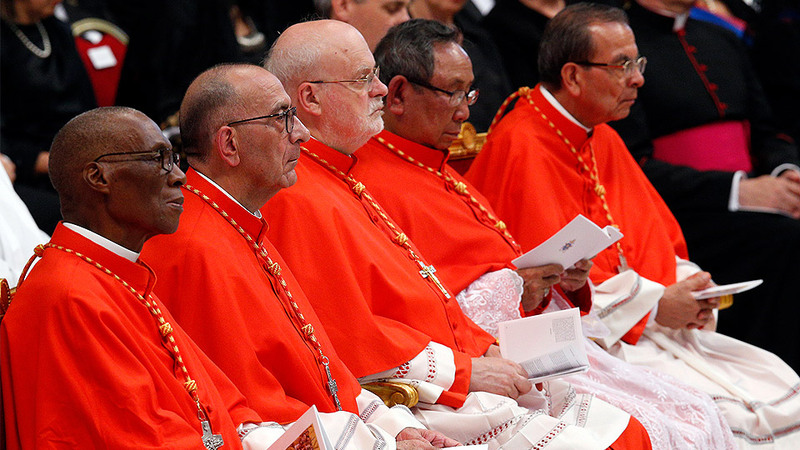 The special relationship all cardinals in the world have with a Rome church or parish sets them solidly in the ancient tradition of popes being elected by the bishops of seven small dioceses surrounding Rome, the priests in charge of the Rome deaneries and the pastors of what used to be about two dozen titular churches. 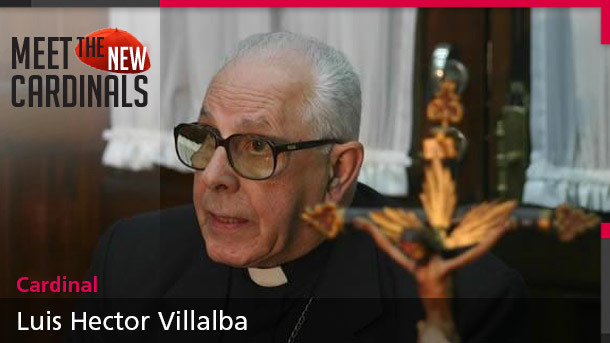 In the brief conversation with Vatican Radio, the cardinal-designate said, "My heart is full of gratitude to the Holy Father for the trust he has shown me in naming me among the cardinals, who are his advisers." The son of a French defense official, he was born March 7, 1952, in Marrakech, Morocco, and grew up in the village of Vico, Corsica. The French Catholic newspaper La Croix said he has maintained strong ties with the island and its people, although he has not lived there in more than 30 years. La Croix described the French prelate as being "discreet," keeping away from the media and not giving interviews. 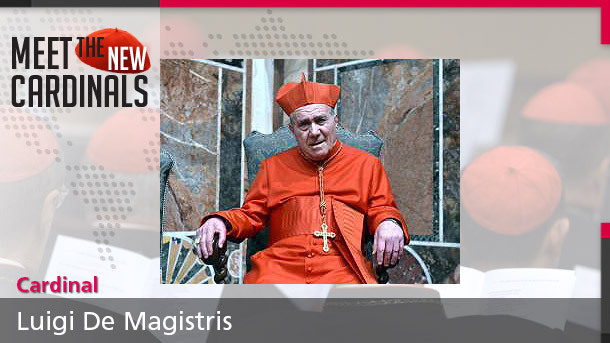 He often has spoken publicly and in high-profile settings, but always formally as a representative of the Vatican. Many of his speeches reflect the Vatican's concerns for the protection of religious freedom and of human dignity, values which he sees as intrinsically tied to one another. In early December, he addressed the ministerial council of the Organization for Security and Cooperation in Europe, highlighting the connection between freedom, human dignity and peace. The 25th anniversary of the fall of the Berlin Wall, he said, was "not just a reminder of the end of an era of profound division; it is a symbol of hope, showing that it is possible to overcome seemingly insurmountable obstacles for the benefit of what is deeply rooted in our human nature, namely life in dignity and freedom. And the fact that it was achieved in a marvelously peaceful manner makes us hopeful that it can be done again." Security in Europe and around the world, he said, "cannot be achieved without the protection of human rights," but, on the other hand, "full respect of human rights can be ensured only in a secure environment, allowing individuals to enjoy the inalienable rights and freedoms to which they are all entitled as human beings." Visiting Australia in November, he explained that the Vatican's diplomatic activity, unlike that of most nations, "does not depend on military, political or economic strength but on the ability to persuade. The Holy See, one could say, acts as a voice of conscience, at the service of the common good, by drawing attention to the anthropological, ethical and religious aspects of the various questions affecting the lives of peoples, nations and the international community as a whole." "At the heart of this mission," he said, "is a certain conception of the human person, who is seen as having an innate dignity, which must always be respected, ultimately because he or she is created in the image and likeness of God, and is endowed with reason, will and freedom." 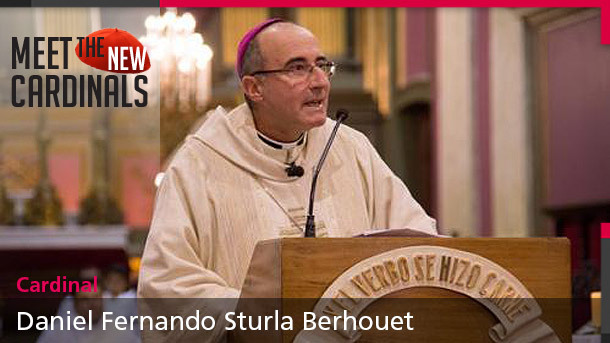 Ordained to the priesthood in 1981 for the Diocese of Ajaccio, Corsica, he holds degrees in both civil and canon law. Pope John Paul II named him an archbishop and nuncio to Sudan in 2002. 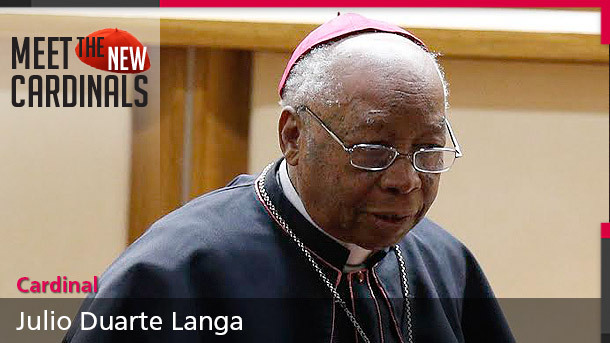 Two years later, he was given additional responsibilities as the nuncio to Eritrea. Pope Benedict XVI called him to the Vatican in 2006 to take over as secretary for relations with states, the formal title for the official in charge of the foreign policy section of the Secretariat of State.